Switch between pixels (px), points (pt) and density independent pixels (dp). How to change design units? You can switch between different design units (depending on the platform you are building your project for). 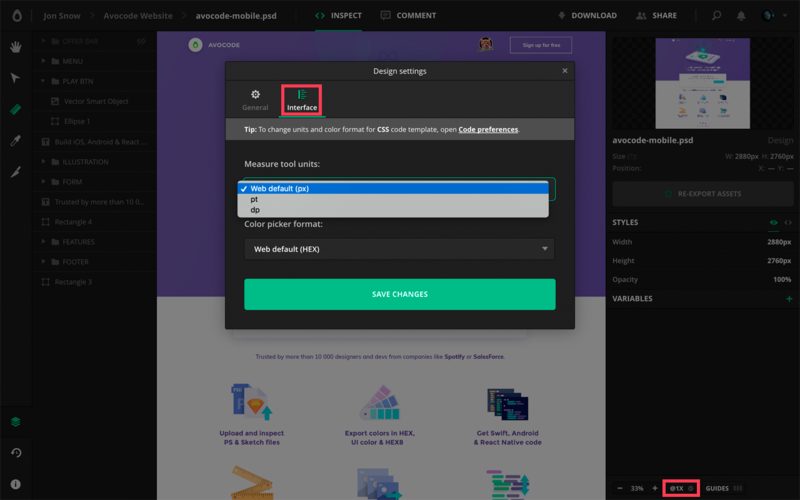 Go to Design Settings by clicking on the cogwheel in the bottom right corner in the Design View, then switch to Interface, click on Measure tool units and select between px, pt, and dp. The selected unit will appear in the top right corner panel (see the previous section) and will be copied to your clipboard when you click on it.